In July, we mentioned that we were going to take a side-by-side look at a select list of iPad covers. We pushed out our editorial schedule on them because we got two (monCarbone, M-Edge) great last minute suggestions from readers. That worked out just fine as the modulR folks were running late because of some production issues. These covers were selected because we felt they were the “Best of Breed” in one way or another. Some were picked for their quality of workmanship or appearance. Others were choosen for their innovative design, versatilty, or level of protection offered. 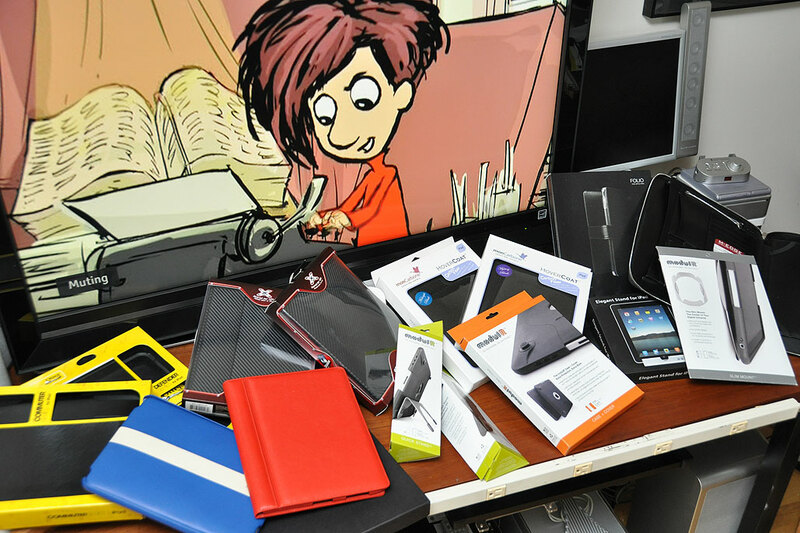 If you are looking for a great iPad cover, one of these is likely to meet your needs. The modulR system and monCarbone covers which arrived last week were the first batch off their respective production lines. The folks at modulR and monCarbone were kind enough to send them straight away so we could get a FirstLook at them. We are glad we waited. 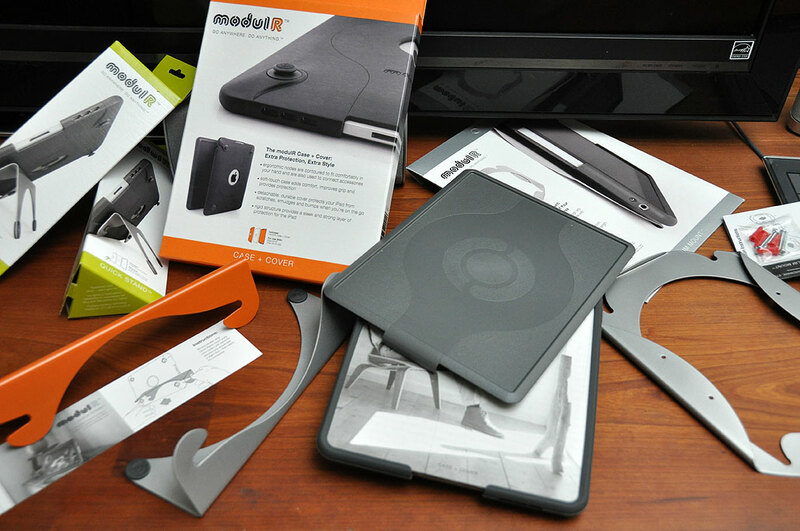 modulR designed more than just an iPad cover, they also created an entire system of integrated accessories (wall mount, stand, etc…) and have more on the way. There is nothing else like this modulR system on the market. We have all but a few of the bits and are expecting more. We will show how the fit together and how to use them. For readers looking for the lightest possible material in a cover, carbon fiber is the way to go. monCarbone’s HoverCoats are made using just carbon fiber. They are stiff and weigh next to nothing. They also look amazing, and we’ll show you why tomorrow. People use covers for different reasons. Some want a cover to protect their iPad from scratches, bumps, and knocks. Others want a cover because they want extra features such as an integrated stand, business/credit card holders, or room to additional stuff. We will spend all week looking at the features of this collection in various combinations. If you are into iPad covers, this is your lucky week. If you are not, come back next week. We have lots of really cool stuff in the pipeline.